Basingstoke and Deane Borough Council is named after the largest town and the smallest village. The borough covers an area of over 245 square miles in North Hampshire of which over 90% is rural. 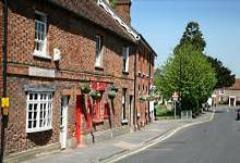 The rest of the borough is made up of villages and rural hamlets and countryside and includes 47 conservation areas. The town centre attracts a large number of local and regional shoppers to The Malls and the Top of the Town and an award winning shopping centre Festival Place. Festival Place has many of the top high street shops such as Jones footwear, French Connection, Phase Eight and Debenhams. 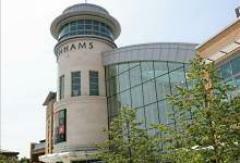 As well as restaurants and Vue multiplex cinema. . There is lots to see and do around the borough. The rolling hills and woodlands of the North Wessex Downs Area of Outstanding Natural Beauty cover a section of the western side of the borough, offering lots of opportunities for outdoor pursuits such as walking and cycling. The borough is twinned with Alencon in France, Braine-l’Alleud in Belgium and Euskirchen in Germany. There are 16 infant, 16 junior, 26 primary and 11 secondary schools in the borough which are supported by Hampshire County Council. View now and then images of Basingstoke by visiting The Willis Museum webpages. taking a swim at the Aquadrome. If that’s not to your taste, why not take in a performance at The Haymarket or The Anvil, a nationally acclaimed concert hall? The area has a range of parks and open spaces for all ages. Eastrop Park, which has held a green flag award for the past nine years, has a range of activities to keep you occupied, from a boating lake to a paddling pool, a tree trail, crazy golf course, a wildlife pond and children’s playground. Black Dam ponds and Crabtree Plantation have a lot to offer for those interested in wildlife. War Memorial Park for a relaxing day. Why not check what’s on in the borough there’s always plenty to see and do! Basingstoke benefits from a series of free public events such as the Transport Festival in May, a Kite Festival in June, Basingstoke Live and a performance festival held in July. Want to know where to park, find out where the car parks are and what type they are. The Top of Town area has won special ‘Park Mark’ safety awards for 10 of its car parks. If you have a blue badge there are several places you can park in the town.